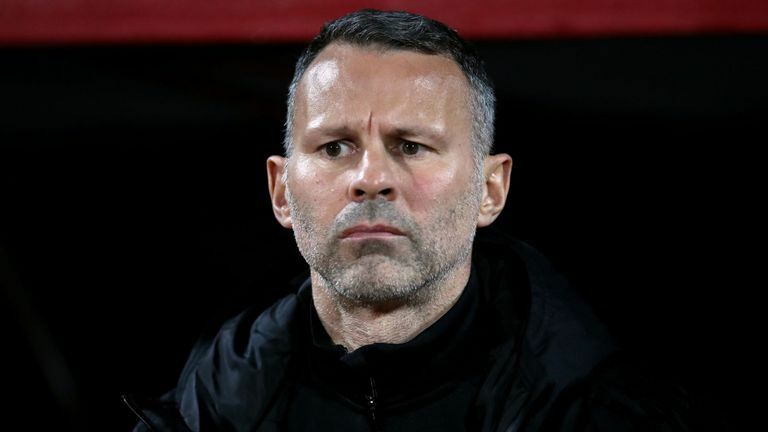 Wales head coach Ryan Giggs believes his team can learn from the ‘discipline’ showed by Denmark during the recent Nations League encounter. The Danes were relatively comfortable in their visit to Wales and goals from Nicolas Jorgensen and Martin Braithwaite ensured their promotion to League A of the newly-formed competition. Speaking after the game, Giggs was pleased with the performance of his side but suggested that Denmark were the better team after they showed the patience and discipline to find the breakthrough, he said: "I'm proud of the lads, they kept going to the end, they excited me and the crowd. You see David Brooks taking players on, it's exciting. But we need to learn the other side, the discipline that Denmark are so good at. But they've been together a long time. "They don't give away many goals, so when they go a goal up very rarely do they give away the game, and they're disciplined. Up until [they scored] it was even, we had a few headers go beyond the post and a couple of injuries." Wales being the home team started the game on the front foot and “they managed more shots than the visitors on the night. “Nonetheless, the Danes were clinical with the opportunity which came towards them unlike the hosts, “who could only manage“a consolation goal from Gareth Bale in the 89th minute after they dropped 2-0 behind. With the result, Wales are set to remain in League B of the Nations League for next year’s competition but there were plenty of positives with several young players cementing their positions under the new manager. Among those, David Brooks has been one who has taken the opportunity to impress after a good debut season with Bournemouth and he could become a fundamental player in the country’s progression in the forthcoming years.